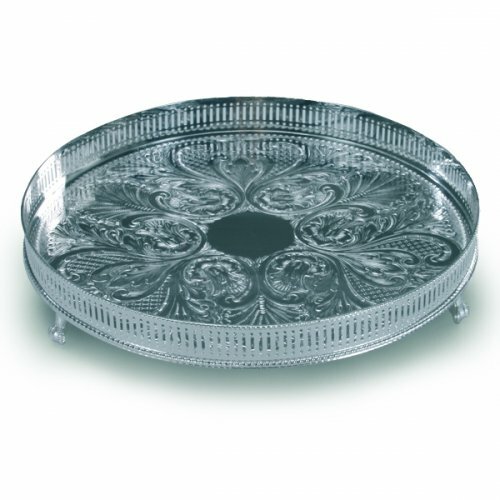 Simple yet ornate, this round tray with level gallery features the classic style ball and claw feet. This piece would look at home in any house and would make a perfect gift for any occasion. Silver plated. 30cm / 12 inches.